When your foot and ankle go through trauma, nothing matters more than getting the proper care to get you back to full health. 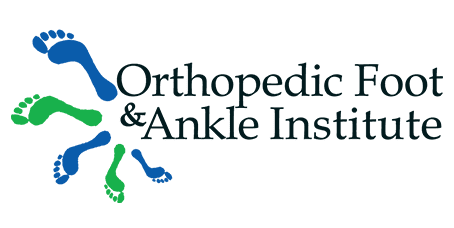 At Orthopedic Foot & Ankle Institute in Henderson, Nevada, Dr. Roman Sibel uses cutting-edge treatments to give you the best care possible. If you’re looking for an orthopedic surgeon who can handle your traumatic injury with care and compassion, contact Dr. Sibel’s office today. Call his office or go online to schedule your appointment. You may need trauma surgery on your foot or ankle for various reasons. Sometimes, a trip or fall can cause a significant sprain, tearing the ligament in your ankle, or a skiing mishap leads to a bone fracture that needs surgery to heal properly. Sports injuries can cause trauma to the foot or ankle, as can bicycle, skating, and vehicle accidents. What injuries can trauma surgery treat? While Dr. Sibel can perform any of these surgical treatments individually, in some severe trauma cases, multiple issues need to be addressed during the same surgery. Not all foot and ankle trauma injuries need surgery though. Many sprains and tendon tears and even some bone fractures can heal without surgical intervention. How do you know if you need trauma surgery? The only way to know if you need trauma surgery for a foot or ankle injury is to have it examined by an orthopedic surgeon. Dr. Sibel examines your injury and tests it for pain and mobility. He may ask for imaging tests to confirm your injury or determine its severity. Depending on the type of injury, Dr. Sibel may request an X-ray, CT scan, or MRI. These tests allow the doctor to see what your bone, tendons, and ligaments look like, and what kind of damage the trauma created. If surgery is necessary, Dr. Sibel schedules the procedure and explains what you can expect before, during, and after surgery. If he thinks you can heal without surgery, he discusses other treatment options, which may include immobilization with a cast or brace or physical therapy. He may recommend resting the foot and ankle and not bearing weight on it for up to six weeks. When you have a traumatic injury, schedule an appointment with Dr. Sibel, the orthopedic surgeon with the experience you can trust. Call or go online to book your appointment today.